Ards and North Down Borough Council – How to contact? 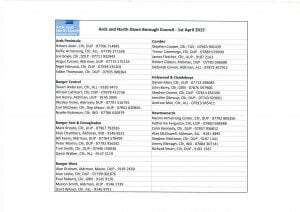 Home / News / Ards and North Down Borough Council – How to contact? Today, 1st April 2015, is the beginning of the new Ards and North Down Borough Council and NDCN would like to send best wishes to all the Councillors and Council staff. 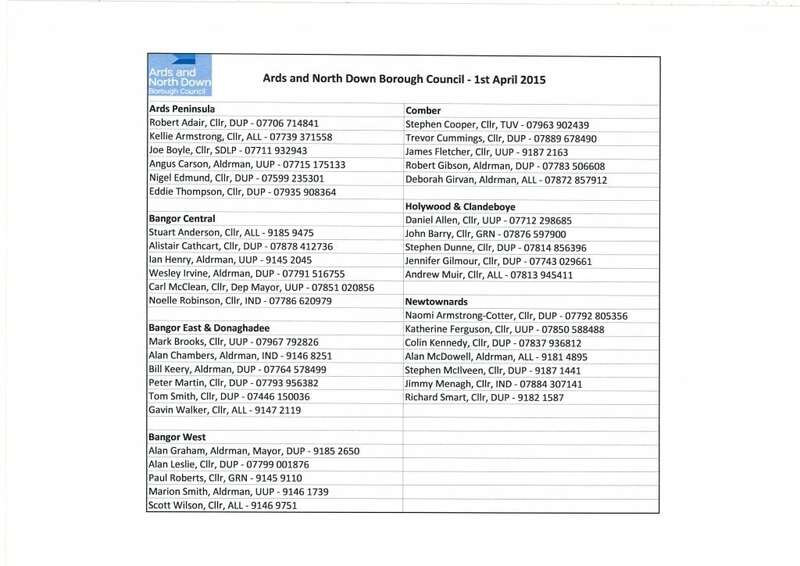 If any residents would like to contact the new Council, NDCN has compiled a simple summary of info by district – just click on Ards and North Down Council – Contact x District or view the PDF below. The new telephone number for the Council is 0300 013 3333 and new website http://www.ardsandnorthdown.gov.uk/. 10 Apr: Breezemount ‘Community Stars’ Talent Show – singers still needed!